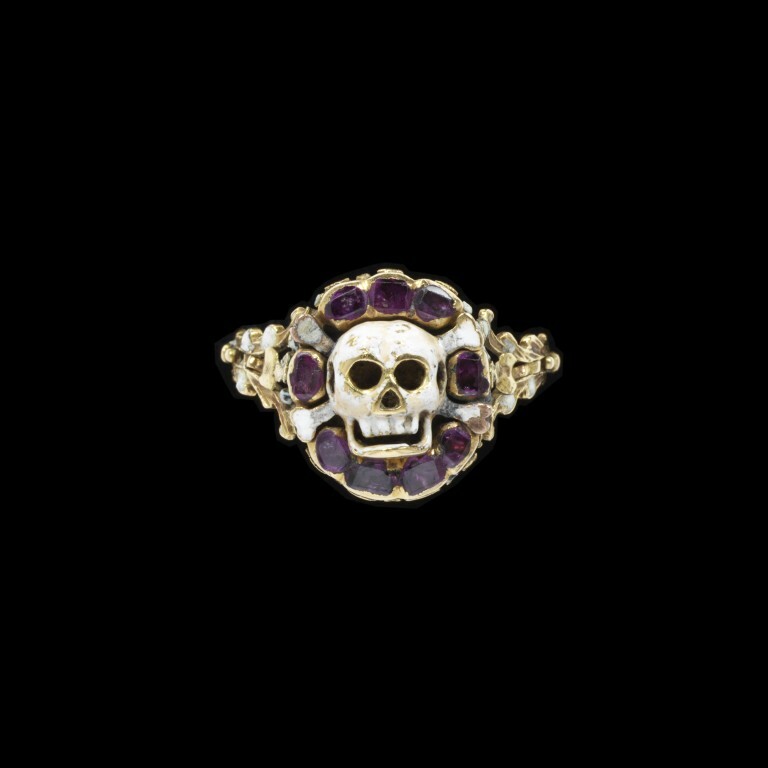 Enamelled gold ring, the bezel in the form of a skull and cross-bones in a border of rubies with an enamelled rosette behind, two marks 'CC' and 'AL[?]' in a monogram. 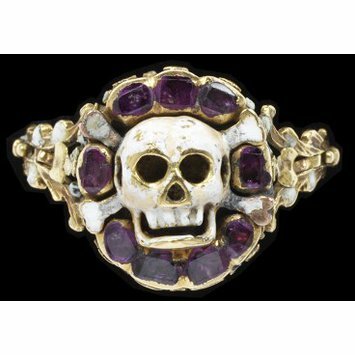 Enamelled gold ring, the bezel in the form of a skull and cross-bones in a border of rubies with an enamelled rosette behind, two marks 'CC' and 'AL[?]' in a monogram. 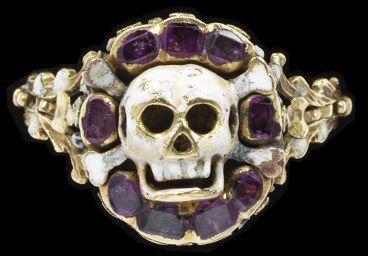 Europe, 1550-75.